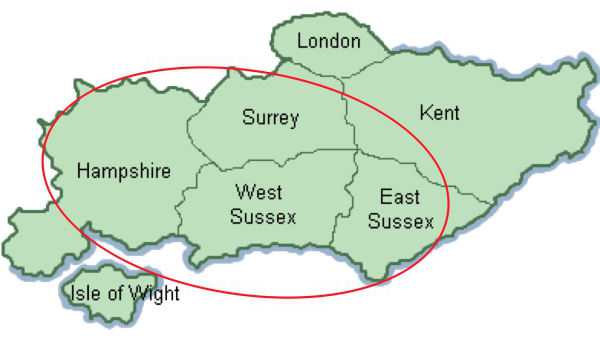 The hire rates start from as little as £380 and may vary depending on how long you want the vehicle for and also the distance it needs to travel from our depot, which is near Chichester, West Sussex. (VAT is included at 0% rate for transport). In all cases, we will provide you with a free quote so that you know the exact cost. Should you wish to book a vehicle for hire, we will request a deposit of £100. Once your deposit has reached us, your booking will be confirmed and the vehicle you choose will be reserved in your name and other people will not then be able to make a booking against it. This vehicle will be the one which comes on the day. 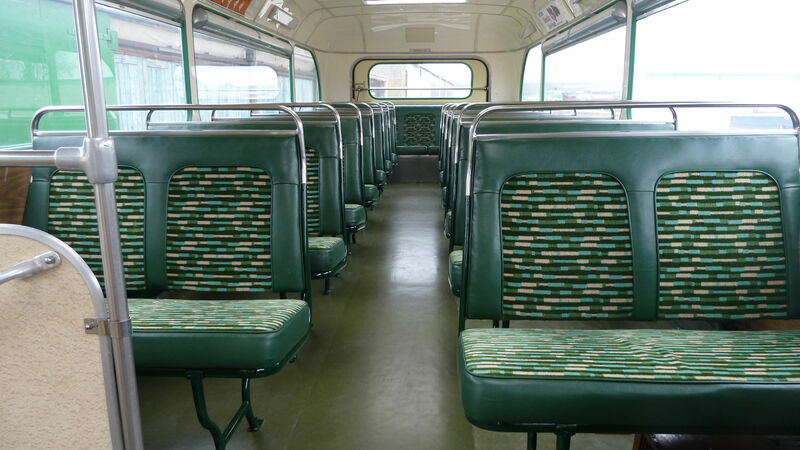 It is very rare to have to offer a substitute from our vintage fleet and in such circumstances we would contact you first. Full payment will be required 14 days before the hire date. Invoices are provided and include different payment options. If you later decide that you would like a different type of vehicle to the one you have booked, we will normally do our best to oblige. However, this becomes more difficult to arrange as your hire date approaches. The more notice you can give, the better. Should you decide to cancel the booking, the deposit is usually non-refundable. In circumstances where we cannot proceed with the hire, you would receive a full refund. 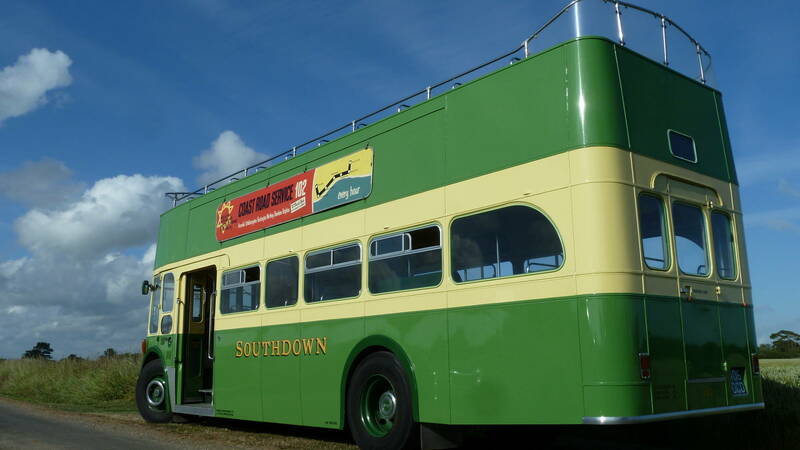 Separate pricing packages and arrangements apply to The Epsom Derby festival and Goodwood Revival. Consider trees and bridges. 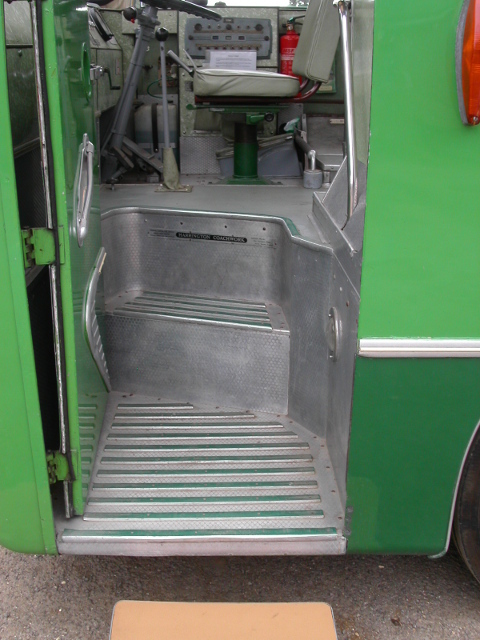 Double Deck buses require 16 feet clearance and coaches 11 feet. Some venues will tell you that 'large vehicles' regularly visit, but there is a big difference between a bus and a delivery van, so we recommend you take a few minutes to check. The buses are over 8 feet wide, so a width restriction can be a serious problem. Also, please consider if the place you wish to visit suffers from parked cars which narrow the road. There is no power assisted steering similar to that fitted to modern vehicles, so the buses will need plenty of room to turn around. Insurance restrictions prohibit excessive reversing, so dead end roads should be avoided. 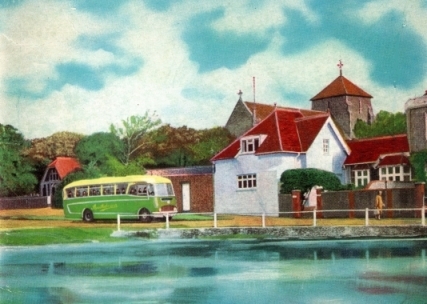 On a clear, flat road, the absolute maximum speed of the double-deck buses is 40mph; the coaches travel slightly faster. However, the average speed is a lot less. As you might imagine, when you plan your day you will need to allow plenty of time - generally almost twice the time a car might take to travel over the same distance. Please don't forget to allow a bit of time for people to get on and off the vehicle. 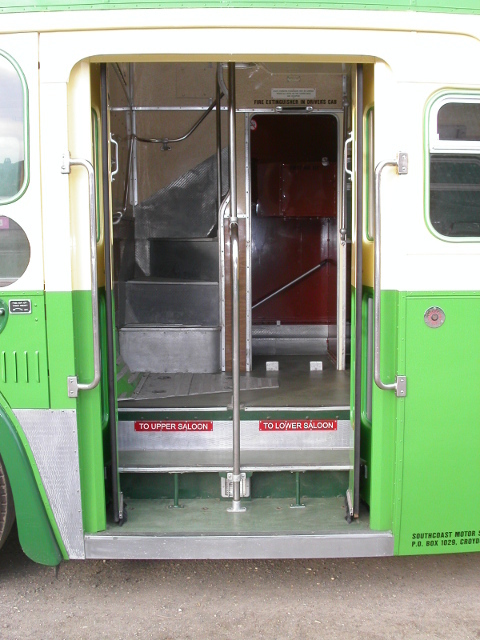 Our vehicles were built in the 1960s and as such were not designed and are not equipped to carry some mobility impaired people. We will do our very best to assist where we can and provide here a guide to using our vehicles. As all the maintenance and restoration is done in-house, we are in full control of the tender loving care that our vehicles receive. If we don't get it right, it will be us that has to deal with the consequences, so we like to do things properly each and every time. 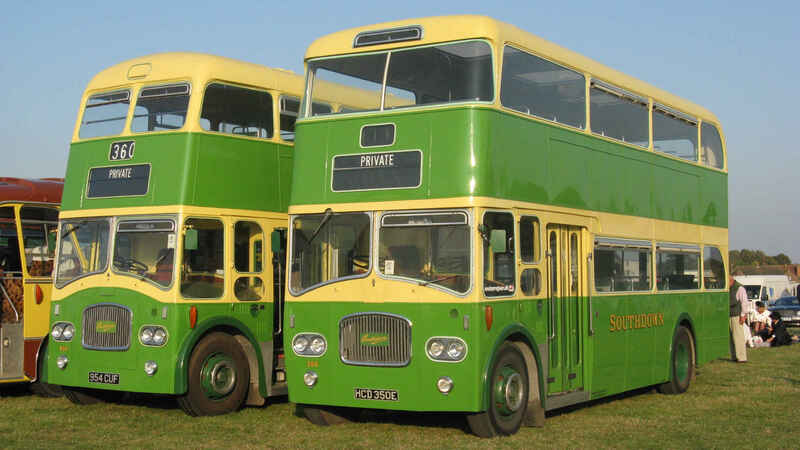 So to give you a bit of background, we have been licensed to operate our vehicles for hire since 1999, but the formation of our restoration group goes much further back to 1988. Now, with over 30 years experience, we have built up a huge supply of new and reconditioned parts ready for any eventuality. Our approach to engineering excellence results in high vehicle availability throughout the busy summer months, during which each vehicle undergoes regular and stringent safety checks. 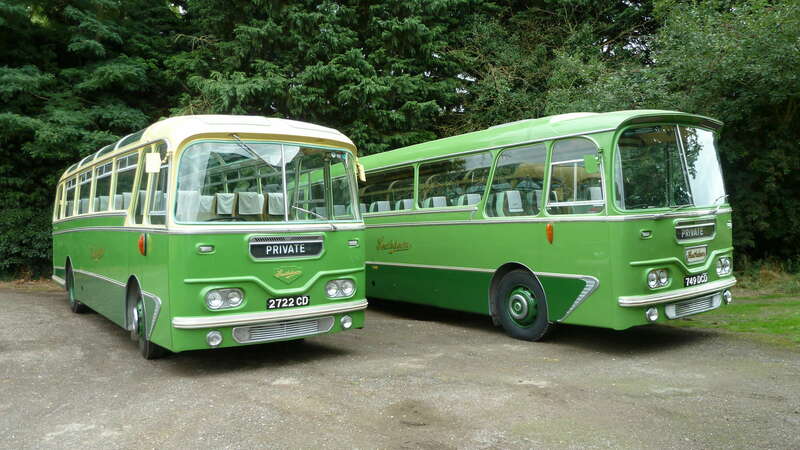 People often ask why do we not make our vehicles available for hire in the winter: quite simply, this is when we undertake major restoration and servicing of our vehicles, so further ensuring that they are fully reliable in the summer. Each autumn, after the operating season has finished, heavy restoration and improvement work is undertaken in our own well equipped workshops. We take particular care to replicate original detail wherever possible and work closely with local engineering firms to source and manufacture components. On the day itself, as a further check before leaving our depot, the driver and engineering staff will ensure the vehicle and its safety features are working correctly. Only if the vehicle is fully fit for service will we allow it to go onto the road. Of course, it would be totally naive to say things might never go wrong and in such cases we like to take a fully proactive approach to putting things right. This is why Peter asks customers to provide a mobile phone number for someone in the party whom we can contact on the day, explain the occurrence and what the available options are. If you'd like a look behind the scenes, you might find our Instagram site of interest. If you wish to toast the happy couple, it's best to ask the driver to pull over whilst you do so. 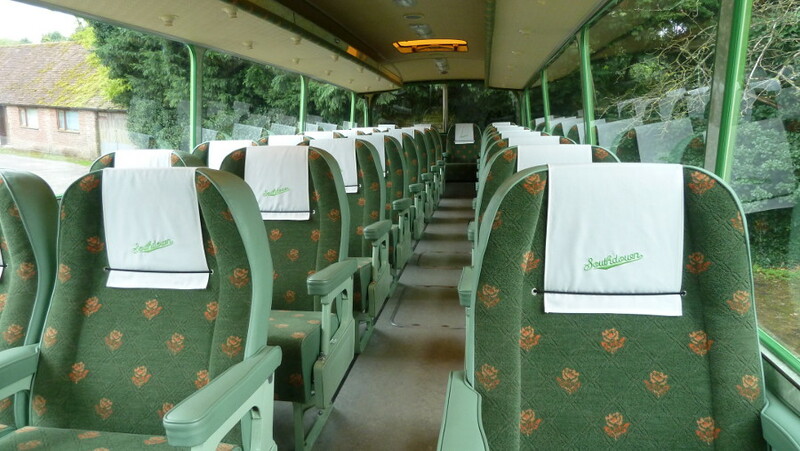 Trying to serve glasses of bubbly on a moving bus can be tricky and no-one wants an unexpected dry cleaning bill or sticky bus seats! Please follow the advice of the driver and respect the vehicles. We'll admit, there is a bit to read here, but it's important for you to check that the supplier of your bus or coach is a legal operator. When you hire a bus or coach in Great Britain and payment is taken for carrying passengers (called ‘hire or reward’), the person(s) or company providing the vehicle(s) must hold a Public Service Vehicle (PSV) Operator licence. The main purpose of PSV Operator Licensing is to ensure the safe and proper use of PSVs. 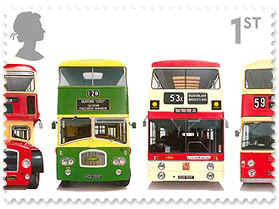 The operator licensing system in Great Britain is regulated by independent traffic commissioners, who are appointed by the Secretary of State. 'Hire or reward' is any payment in cash or kind which gives a person the right to be carried, regardless of whether or not that right is exercised. It is also regardless of whether or not a profit is made. The payment may be made by the passenger, or on the passenger’s behalf. It may be (a) a direct payment (e.g. a fare) or (b) an indirect payment (this could be an exchange for services such as a membership subscription to a club, payment for a bed in a hotel, school fees or payment for concert tickets where travel is included; the payment does not have to be money and the right to travel does not need to be taken up). Crazy as it may seem, we do occasionally hear of instances where others may be taking payment for vintage vehicles without holding an Operator's Licence. It matters to you, because in such cases the vehicle on which you might travel may not be roadworthy or correctly insured. Thankfully, it is very easy for you to check. First of all good news, we at Southcoast Motor Services hold a current Operator's Licence. View our Operator's Licence (PK0003438). If you want to check someone else is a legal operator, you may do so on the UK Government's dedicated web site. If you think you'd like to learn more, the Government provide a guide, from which part of the wording of this article was written. Public service vehicle (PSV) operator licensing guide.